Firefighters were kept busy with a large brush fire in a field to the west side of Gloria Dr. this morning. The call for a fire came in around 11:30. Smoke from the fire could be seen as far away as Gananda. 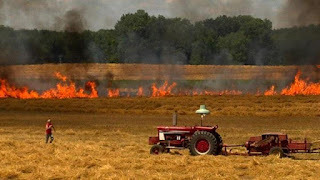 Penfield firefighters with help from several surrounding companies knocked down the fast moving field fire which was made up of dry straw which had been recently cut and piled into large rows. 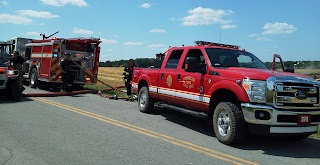 Firefighters were out for about an hour.